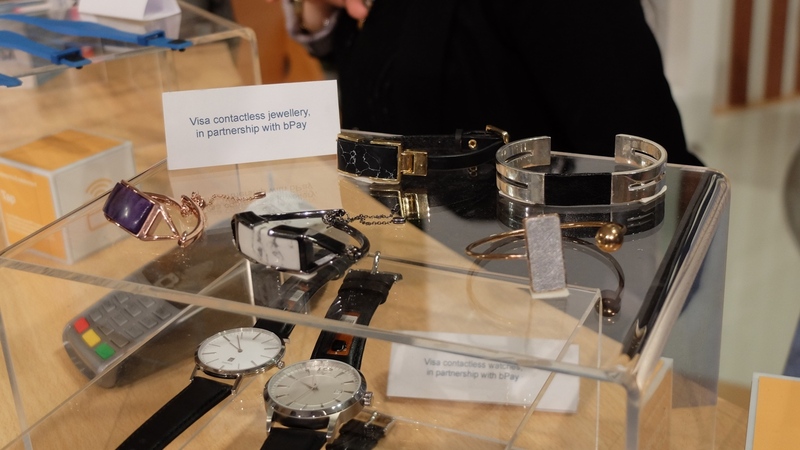 Visa is showing off a new range of contactless payment jewellery and hybrid watches on its MWC stand this week, and some of the bracelets will be hitting UK high street shops including Miss Selfridge and Dorothy Perkins. Announced last week, all the new accessories house a new smaller and bendier Barclaycard bPay chip inside. Because it's flexible that means it can slot into curved, gold and silver finish costume bracelets and the leather straps of analogue watches, as shown off at the booth. 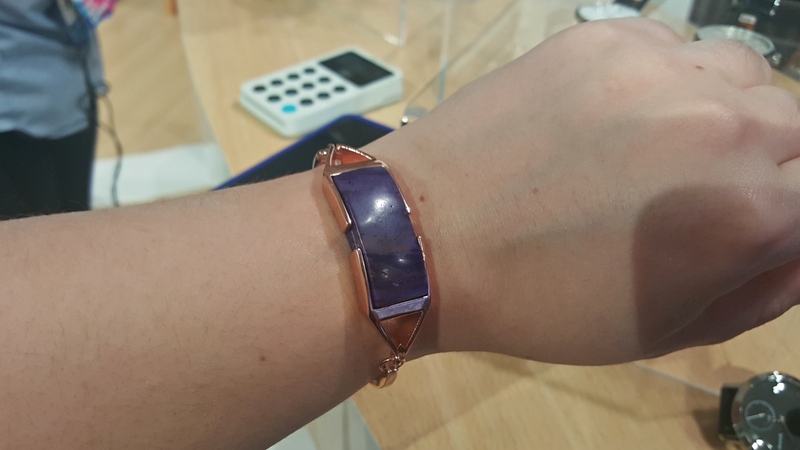 We had a quick demo of tapping one of the bracelets to the POS machine and it all looked pretty seamless, plus the bracelet felt light and well, dainty, on my wrist. Unlike say the bulky, plastic bPay Band we saw a couple of years ago. A Visa rep also told us that the Tutch payments jewellery range will be going on sale via DCK Group concessions in stores from June. The watches are part of a separate collaboration with Tappy which, again, has partnership with various accessible watch brands - these aren't 'proper' display smartwatches mind you. 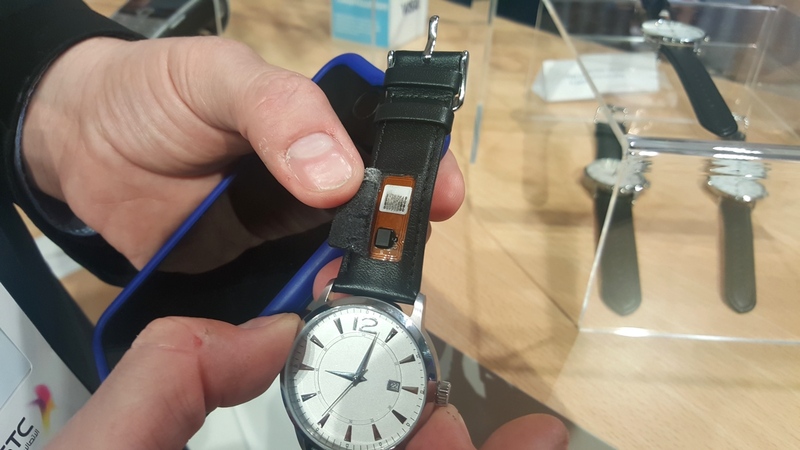 The devices on show were otherwise analogue watches apart from the bPay chip hidden in the strap. We're looking forward to seeing more cheap and cheerful smart jewellery hit high street shops after the two bold, funky bPay ranges we've seen so far created and stocked at Topshop. 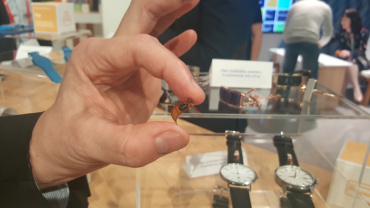 As with these previous ranges, the new jewellery looks exactly like sparkly, dumb jewellery and will no doubt appeal to shoppers who aren't necessarily looking for a piece of wearable tech. Over at MasterCard there were no new announcements for MWC but senior vice president Kiki Del Valle told us it would be interested in working with Fitbit when it gets into the wearable payments game. Visa will be showing more NFC payment wearables off at Baselworld, the big watch show happening at the end of March, so look out for more where this came from.